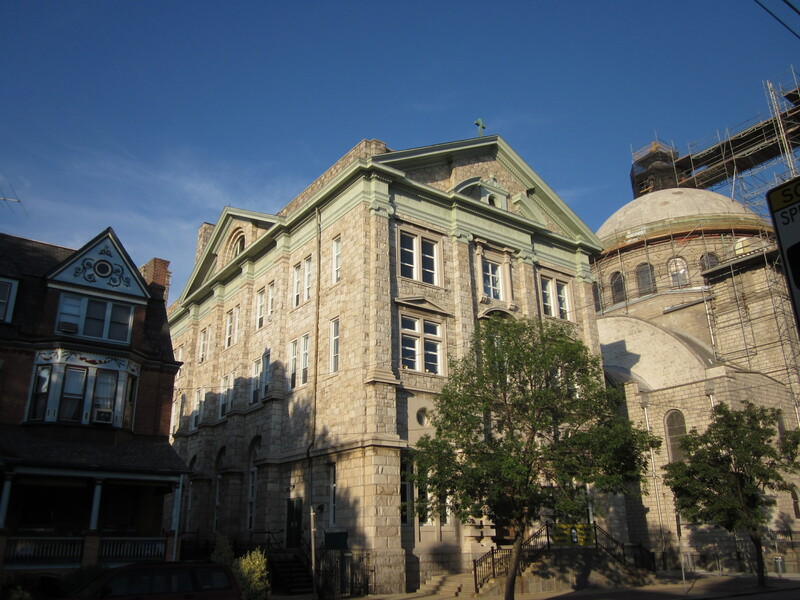 A major landmark in West Philadelphia is almost done being renovated. The dome of the huge St. Francis de Sales church building, at 47th Street and Springfield Avenue in Cedar Park, has been refurbished with new tiles all around to replace the old, damaged tiles that make it such a landmark in the neighborhood. St. Frances de Sales is one of the largest and most distinctive churches in the city, and the largest in the Cedar Park neighborhood, where it stands out amidst the Victorian era townhouses and mid-rise apartment buildings. 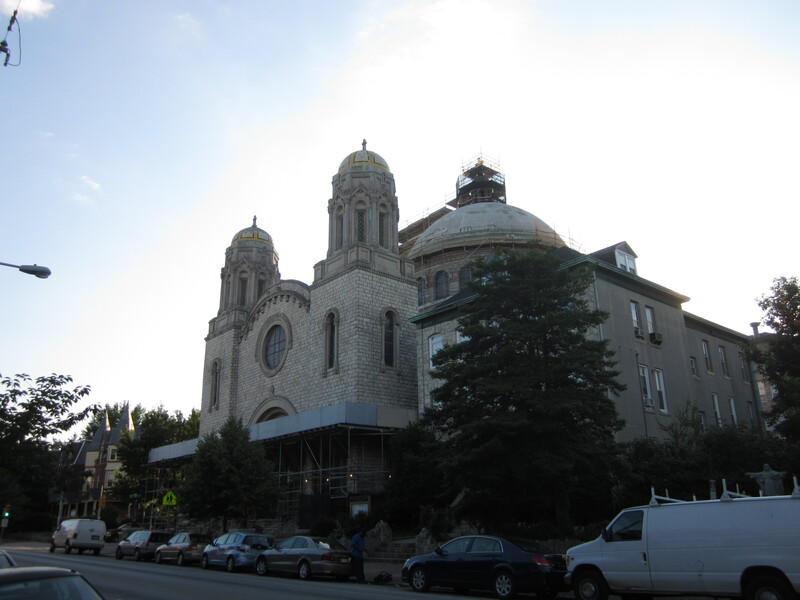 The landmark church was designed by architect Henry D. Dagit and built a hundred years ago now, in 1911. It was built in a Byzantine style, similar to the Hagia Sophia in Istanbul, and takes its colorful dome from that landmark church, built by Byzantine rulers in the Middle Ages. The tiles were designed by the R. Guastavino Company, owned by a native of Spain, who was likely unaware of Philadelphia’s wintertime “freeze and thaw cycle”. The tiles were not designed with this perennial climactic phenomenon in mind and, therefore, have since become detached from the dome’s concrete and have, sometimes, even fallen to the ground, because of water getting into cracks and freezing over the years. The renovation is being undertaken by Historic Building Architects and engineering firm, Robert Selman Associates, PC. They conducted an infrared analysis to determine where cracks were developing in the dome and structure. They determined that the dome was structurally sound, but needed the tile replacement, as well as, new flashing and drainage to prevent any serious water damage from someday occurring. 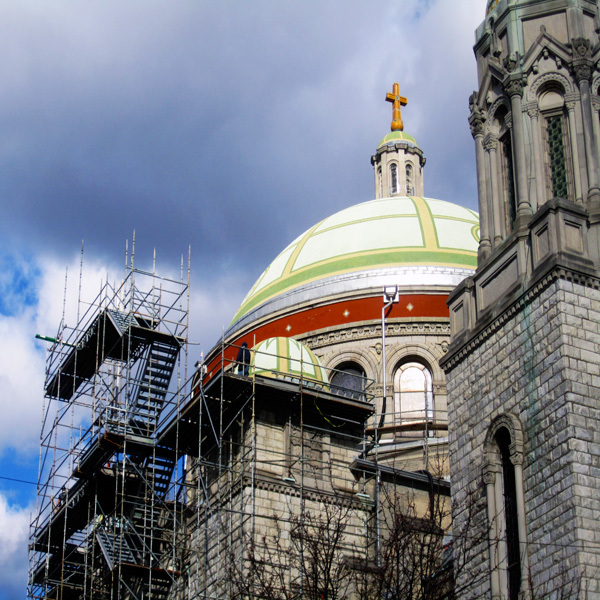 The renovation work on the dome started in August of 2010 and will be complete next month. 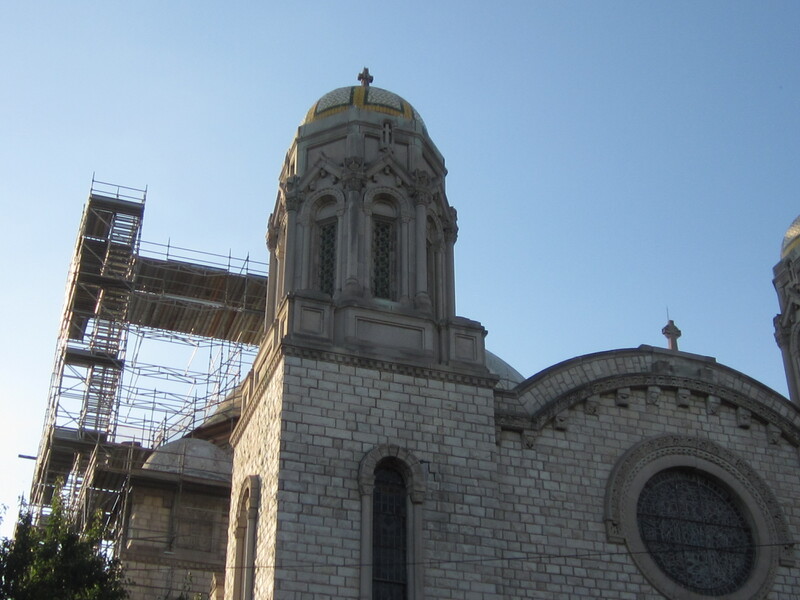 This means that the scaffolding is coming down, revealing the newly retiled dome. 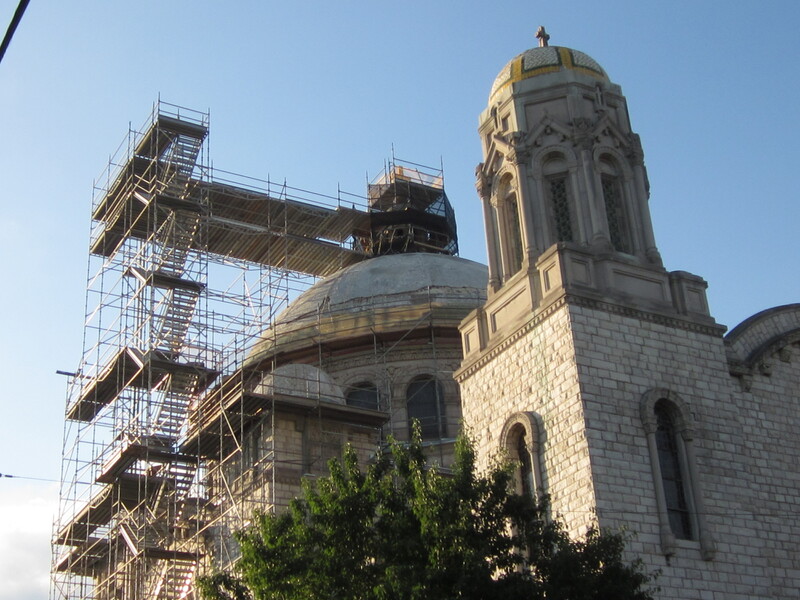 The renovation of the entire church is expected to take roughly fifteen years and could cost up to $26 million, and will include replacing the tiles of the smaller domes on top of the church’s several towers. 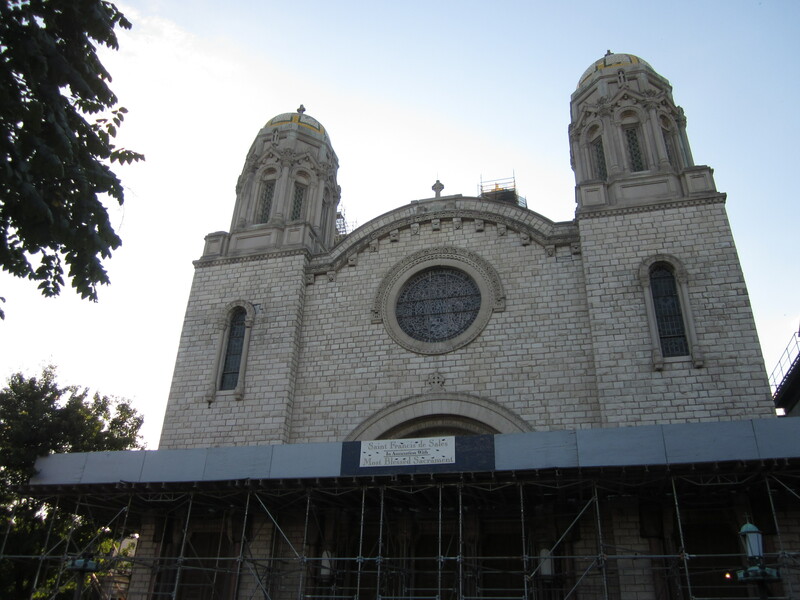 You can find out more about St. Frances De Sales and its renovation, with fun commentary, on the website Phillychurchproject, right here. And if you’re looking to buy, sell, rent or manage a home or investment property in University City, or elsewhere in the city, feel free to contact me at gabriel@thecondoshops.com or sign onto my Facebook realtor page, Gabriel G. Philly Realtor. And, you can check out our Condo Shop website at www.thecondoshops.com or our Condo Shop Facebook page, The Condo Shop. You can, also, sign onto my new twitter page, @GabrielGPhilaRE or our new Condo Shop twitter page, @The_Condo_Shop.